It’s International Domestic Workers Day. Until relatively recently, the legal rules governing employment could be found under the category “master and servant.” Through feminist activism, women have achieved some semblance of equality and have been able to increasingly inhabit the “master” role, even as we remain over-represented in the “servant” role. But is mistress-servant an improvement over master-servant? In my essay, A Servant of One’s Own: The Continuing Class Struggle in Feminist Legal Theories and Practices (available as a free download on srrn here) I consider the role of feminist legal theories in confronting the continuing issue of domestic service. 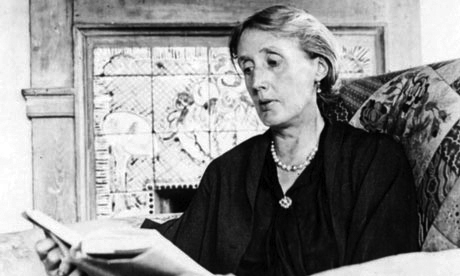 Part one discusses the terrific book, MRS. WOOLF AND THE SERVANTS: AN INTIMATE HISTORY OF DOMESTIC LIFE IN BLOOMSBURY by Alison Light, a must-read for Woolf scholars and fans, that delves into both the particularities and larger social aspects of Virginia Woolf’s employment of domestic workers. Part two examines the United States Supreme Court case of Long Island Care at Home v. Coke, upholding a regulation that exempted certain employees in “domestic service” from minimum and overtime wage laws even if they were hired by a company rather than a household. During the Court’s oral arguments, it was clear that the Justices identified with the person receiving care rather than the worker, even though Ms. Coke was present in the courtroom. The regulation remains the subject of activism by domestic workers. Part three considers the trial and proceedings of another case from Long Island, US v. Sabhani, in which the United States prosecuted and a jury convicted a woman and a man for “forced labor” and “document servitude” of two women from Indonesia. In the last section, the essay compares the situations of Virginia Woolf and her servants, Long Island Care at Home, Ltd. and its servants, and Varsha Sabhnani and her servants. The essay argues that any relationship categorized as “servant” and “master,” even when the “master” is a “mistress,” and even when the master/servant dichotomy is viewed as a relatively equal contractual relationship rather than one based on status, is deeply problematical. The essay further argues that this “servant problem” needs much more feminist attention. The Nation has launched a new “roundtable” to be called “The Curve” where “feminists talk economics” with a first post asking “Does feminism have a class problem?” The initial discussion does devote some attention to low-wage workers, but doesn’t confront issues of domestic work. One hopes it will. This entry was posted in Feminism on June 16, 2014 by Ruthann Robson.